In Qminder every customer visit gets recorded. You can check the details of any specific visit at any time on the Visitor Details page. 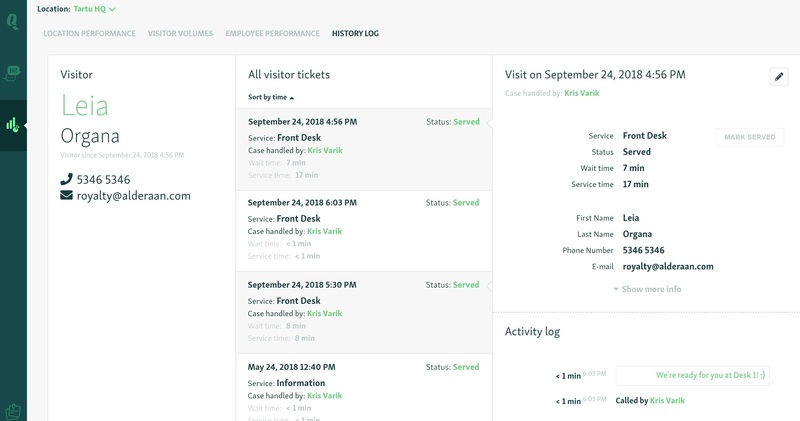 There you will see all the information about the visitor's previous visits, wait and service times and performed service actions. 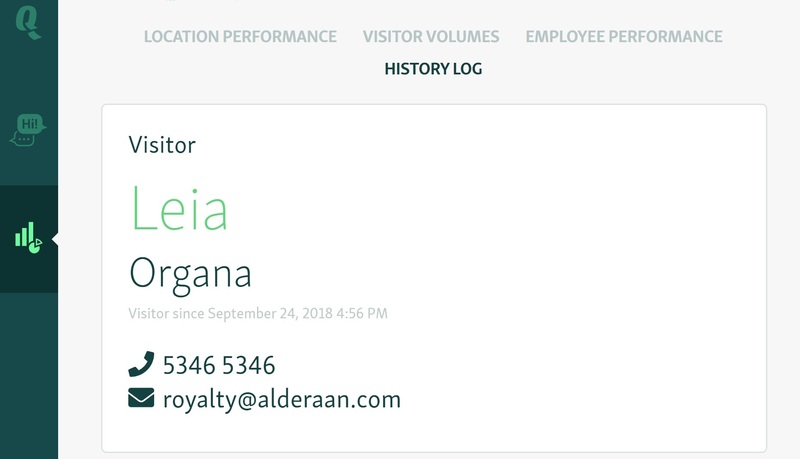 You can access a visitor's details page by clicking on the visitor's name in the History Log page. You can find the visitor via the search function or by filtering the history log so it will display that particular visit. You can also get to the visitor's details by clicking on the visitor's name in the Overview. 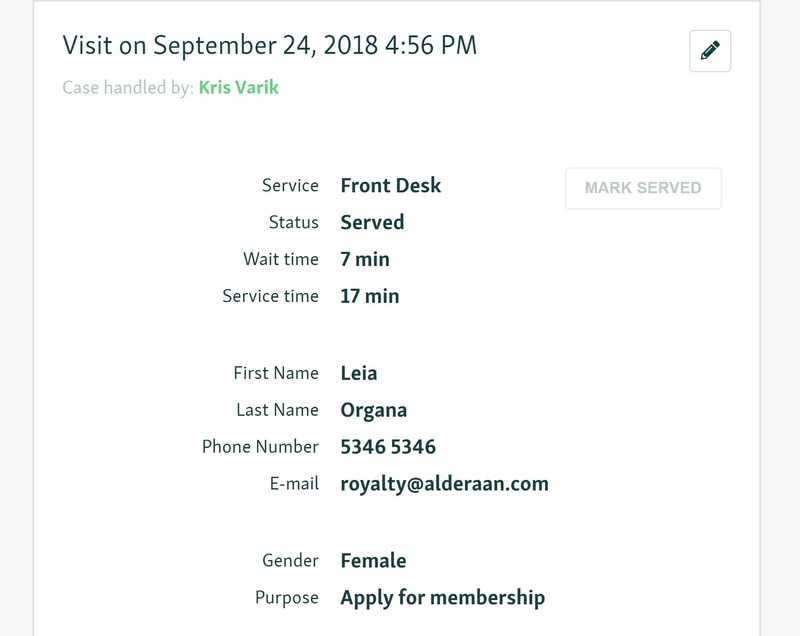 You can open the details of the visitor regardless if they are waiting, being served or have already been served. The Visitor Details page is filled with information. Let's break it down one by one. 1. Visitor - the personal information of the visitor which was typed in during registration. 2. All visitor tickets - all the visits by the same visitor. Visitors are matched by their phone number and/or email. Clicking on a ticket will display its details down below. 3. Visit on specific date - the visit details of the currently selected ticket. Under "case handled by" you can check which clerks were involved in the service. You can edit the information by clicking on the pen icon in the top right corner. If the selected ticket is currently being served, then you can complete the service by clicking MARK SERVED. This is useful when a clerk has accidentally forgotten to mark the service as served. Supervisors and colleagues can finish the service and thus avoid service time errors. 4. 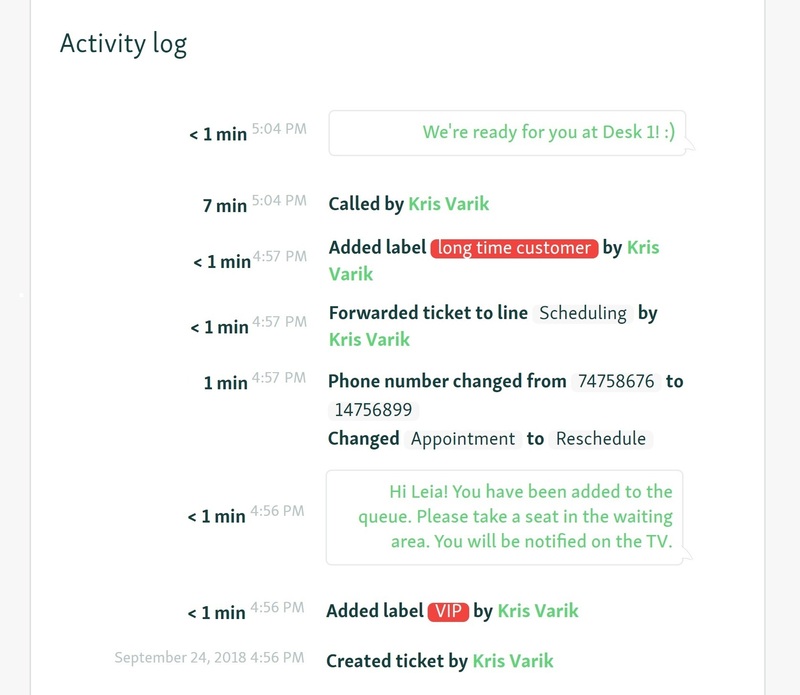 Activity log - all the actions done inside Qminder involving the ticket.